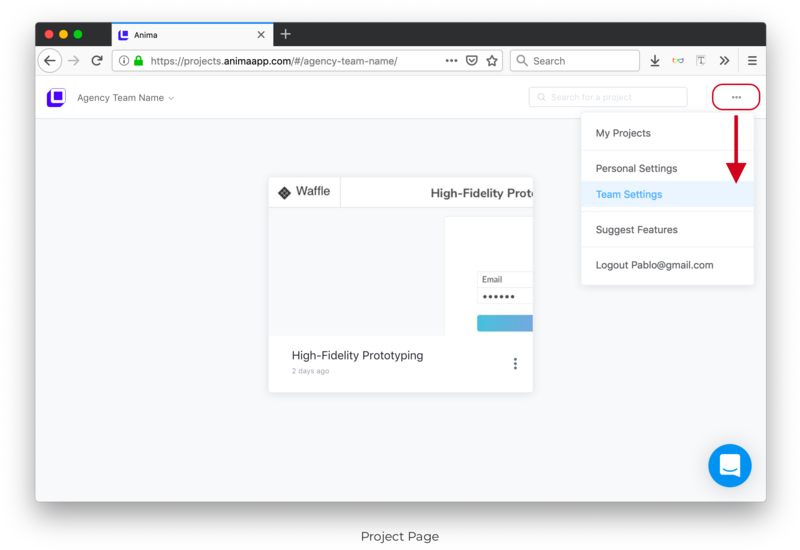 Besides you, there are two Access Level types are available for each person invited to a Project with Anima. 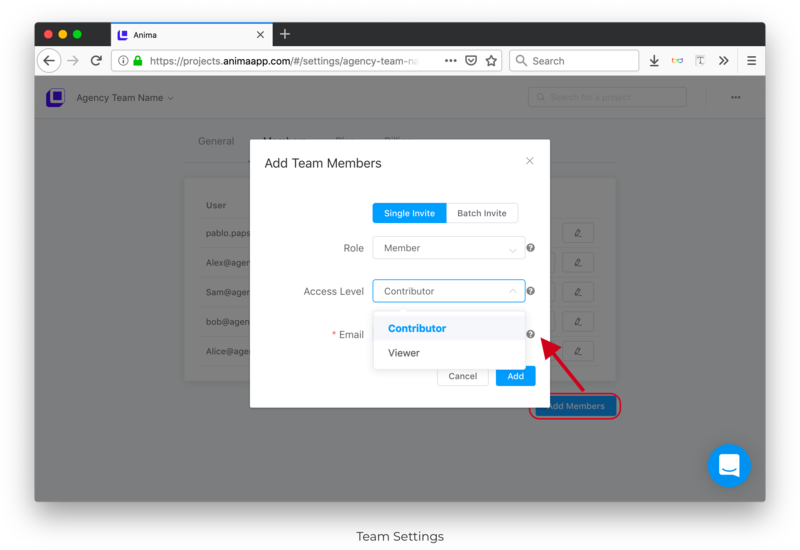 Three types of roles are available to assign to each Viewer or Contributor that is part of an organization. One type of role can be assigned per seat. An Owner can occupy a Viewer or a Contributor seat. Admins can do everything the Owner can except for deleting Projects. Admins are typically company employees who have access to Team Projects within an organization. Admins can occupy a Viewer or a Contributor seat. Members have access to one or more Projects they’ve specifically been invited to. Members do not automatically have access to all Team Projects within an organization. Members must be invited to specific Team Projects. Members can occupy a Viewer or a Contributor seat.